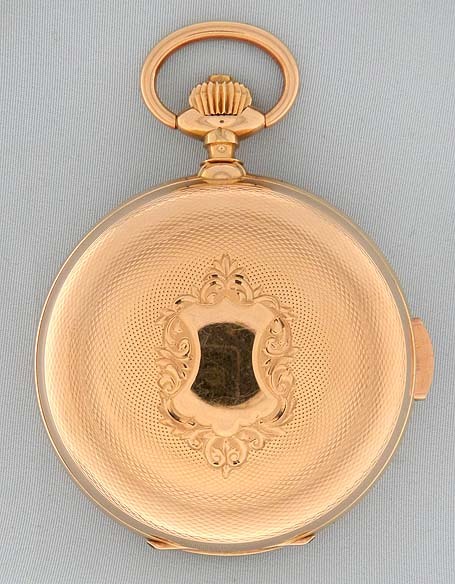 Fine and beautiful large Swiss 14K gold minute repeater automaton antique pocket watch with spectacular dial by Stolz Freres, Locle, circa 1890. 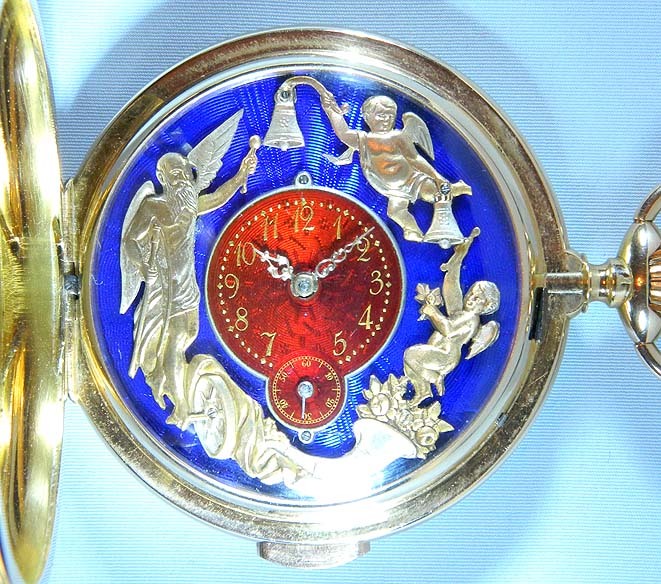 The dial with father time and baby new year striking mock bells (in time with the movement chimes) against a background of blue enamel over an engine turned background. Central dial of bright red enamel over engine turning, gold markings, and fancy gold hands. 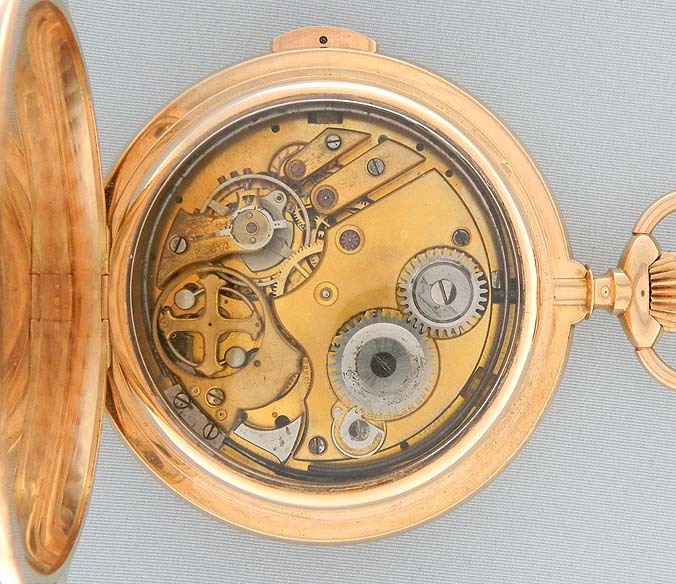 Engine turned case with repeater button in the band. Gold dust cover with awards won over a second glazed dust cover. 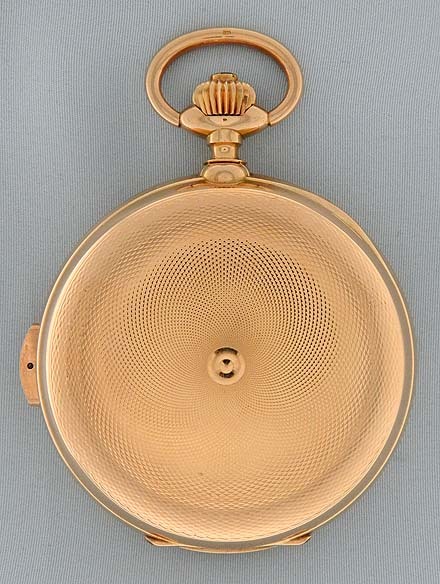 Gilt 15 jewel movement with silent governor. 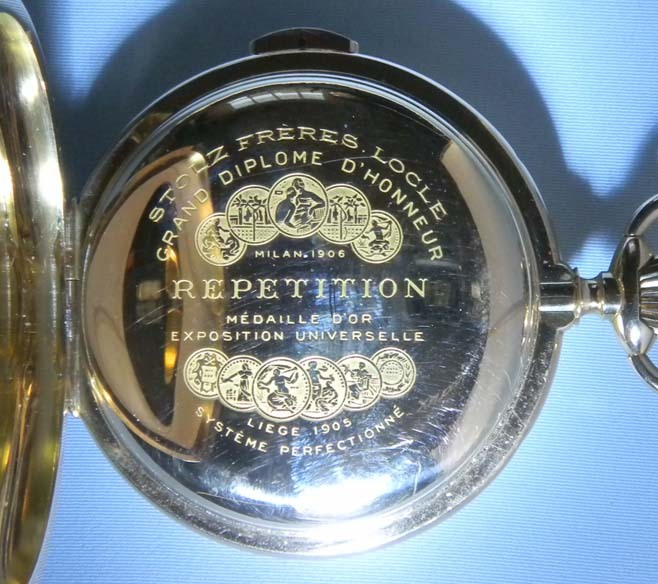 When activated this watch chimes the hours, quarters and minutes with loud clear cathedral-like tones.